The University of Florida placed second at the 2014 USTA 'Tennis On Campus' National Championship, held in Surprise, Ariz., on April 10-12. The squad from Gainesville was defeated by the University of California-Berkeley 27-13 in the championship match. The UF team was captained by senior Adam Decker and featured players Natalie Boruk, Stephanie Cruz, Barrie Eisenberg, Carol Fraley, Stephen Ireland, Maxwell Koller, Alexander Peckham, Anna Rachman, and Joseph Rudy. "We have a really close team -- win or lose. We have a lot of fun and it means so much," Decker said. "This event is a great atmosphere. It's a ton of fun and the friends we made, that's why I enjoy this." It was the fourth year out of the last five that UF has finished as the national runner-up at the Tennis On Campus National Championships. Last year the Gators lost to the University of Georgia in the championship match. In other Florida team play, the University of South Florida made it to the semifinals in the Silver Bracket, and the University of Central Florida made it into the semifinals in the Bronze Bracket. The tournament moves back to the East Coast next year, when the 16th annual Tennis On Campus National Championship begins on April 9, 2015, at the Cary Tennis Park in Cary, N.C. 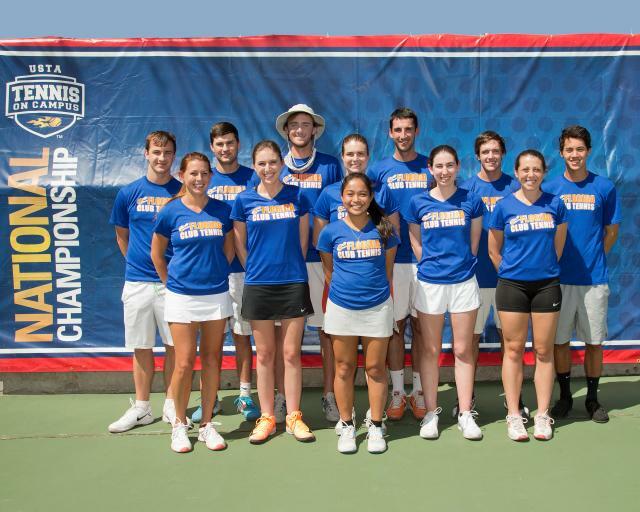 The 2014 USTA Tennis On Campus National featured the top 64 co-ed intramural and sport club tennis teams that qualified to represent colleges and universities across the country. The USTA Tennis On Campus program features more than 35,000 college students competing nationwide in intramural and intercollegiate coed club play. Since its inception in 2000, Tennis On Campus has grown significantly and today is played on more than 600 college campuses across the country. Developed by the USTA in partnership with NIRSA, World TeamTennis and the Intercollegiate Tennis Association, the Tennis On Campus program gives college students the opportunity to build leadership skills, network in a coed sports environment and compete on a college team without the rigors of playing in a varsity program. With year-round match play, and regional and national championship competition, students maintain active and healthy lifestyles through their college years. For more info go to www.tennisoncampus.com, or for Florida Tennis on Campus info go to www.florida.usta.com/CommunityTennis/tennis_on_campus. 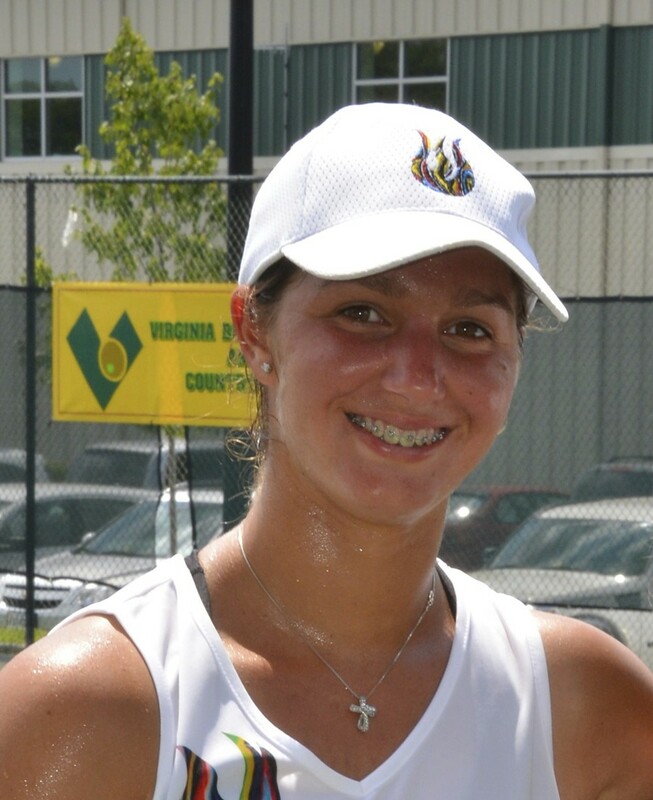 Katerina Stewart of Coral Gables, Fla., won the girls' 16s title over the weekend at the Asics Easter Bowl in Indian Wells, Calif. The No. 1 seed was tested in the final after losing only eight games in her first five matches, in the championship defeating unseeded 13-year-old Claire Liu of California 6-3, 3-6, 6-2. "Basically up until [leading] 5-0 [in the first set] it was all about nerves, who could control it better, I think," said Stewart, as reported by zootennis. "At 5-0, we both started relaxing, and she started playing her game more, and it became more of a battle, like it should have been. She was playing really well in the second set, and I kind of pulled back a little bit. I stepped in there and regrouped in the third set." The 16-year-old Stewart will next play the USTA 18s clay and hardcourt national events, with the hardcourt her hope for winning a wildcard into the US Open junior event. Stewart's national junior ranking is currently too low for direct entry into the US Open juniors as she has been concentrating on playing low-level pro events in 2014. In March she played three consecutive USTA Pro Circuit events, qualifying then reaching the final in Gainesville (lost to No. 1 seed Katerina Kramperova), winning the Orlando event, and reaching the quarterfinals at the event in Innisbrook (lost to No. 183-ranked American Grace Min). The three results lifted her to No. 686 on the WTA Rankings. There were also two Florida doubles winners in age divisions at the Easter Bowl as Coconut Creek's Tommy Paul and Washington's Henrik Wiersholm as the No. 2 seeds upended No. 1 seeds Jordi Arconada of Puerto Rico and Daniel Kerznerman of New York 6-2, 1-6, 10-7 for the Boys' 18s doubles title. Naples' Mary Haffey and North Carolina's Kaitlyn McCarthy as the No. 7 seeds defeated unseeded Jesse Ruder-Hook of Colorado and Gabriella Smith of Nevada 7-6(5), 5-7, 10-3 for the Girls' 18s doubles title. The 2014 Firehouse Subs Men's Doubles Tennis Tournament will be held on May 16-18, 2014, at the Jacksonville Golf and Country Club in Jacksonville, Fla.
"Currently the tournament is the largest amateur men's doubles tournament of its kind in Northeast Florida, attracting players regionally, nationally and worldwide," said Tournament Director Randy Jenks. "The unbelievable talent at this tournament attracts hundreds of spectators as players compete for generous cash prizes and the winning title." Proceeds benefit the Firehouse Subs Public Safety Foundation, which provides life-saving equipment and support to first responders. Divisions of play for the event are: Open, A (NTRP Rating 4.5 or above), B (Rating 3.5-4.0), C (Rating 3.0 or below), Senior (Age 50 or over), and Super Senior (Age 60 or over). The total Open Division prize money is $12,500, with $5,000 for first place. Only Open Division participants through the quarterfinal finishers will receive prize money. The entry deadline for the event is May 13, 2014. 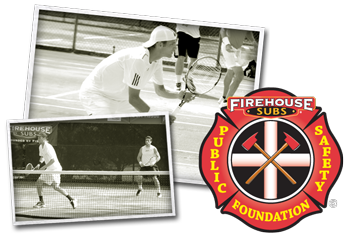 For more info go to www.firehousesubs.com/Tennis-Tourney-Event.aspx. The Winter Park Tennis Center will be the host for the 3rd Annual Florida All Star Tennis Tournament, held April 26-27, 2014, featuring the top senior boys and girls players in the state of Florida. The winning team at the Florida All Star Tennis Tournament will represent Florida at the World TeamTennis Junior Nationals in San Diego, Calif., in July. "The Florida High School Tennis Coaches Association would like to congratulate all those individual boys and girls who won district No. 1 singles and doubles, as well as those tennis teams who went on to win regionals," said Florida High School Tennis Coaches Association Executive Director John Danise. "The annual Florida High School Tennis State Championship will not only find the best high school tennis players competing, they also represent the value of interscholastic sports, with the majority being among the leaders in academic achievement." The 3rd Annual Florida All Star Tennis Tournament follows the Florida High School Tennis State Championship, and features a 96-player field. Players and coaches will be provided a Saturday pool-side lunch, dinner Saturday evening, lodging, Sunday breakfast, a courtside lunch, Team Connection t-Shirts, and Wilson goody bags. For more info or to sign-up players go to www.fhstca.org/all-star-tournament/tournament-information.